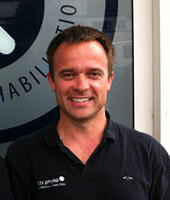 We only employ staff with a commitment to excellence in clinical, professional, communication and customer services. We act with the highest levels of integrity and ethical conduct which are set out by the NZSP Ethical Code of Conduct. Where necessary, we encourage a collaborative approach with our medical colleagues to ensure best treatment outcomes to meet your specific long term health goals. Our highly qualified staff, take the time to understand and clearly communicate the cause of your disorder and don't just treat symptoms. 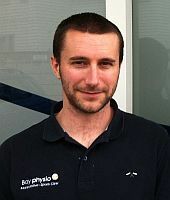 Over 18 years experience in professional sport and private practice, Robin now runs a physio business in the Bay of Islands. His passion is mountain biking, free-diving, kayaking & outdoor lifestyle. With a strong professional interest in manual therapy and rehabilitation (completing Watson headache, dry needling and COMT at AUT), Damon enjoys sport, hunting, fishing & time at home with family. 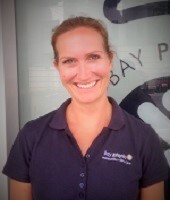 Becki has worked in the UK and NZ, and has a special interest in sports and musculoskeletal medicine. She enjoys mountain biking, fishing and kayaking in the Bay of Islands. Having worked with several professional rugby teams in Scotland, Louise has brought her expertise in sports medicine to Bay Physio. She enjoys water sports, running, horse riding, skiing, & the beach. Well-travelled with work experience in England and Australia, Michelle has vast experience in Health and Hospitality. A former Badminton rep, she enjoys hiking and spending time with friends & family.